Why Judge Robart blocked Trump’s Muslim ban. It’s over—for now. 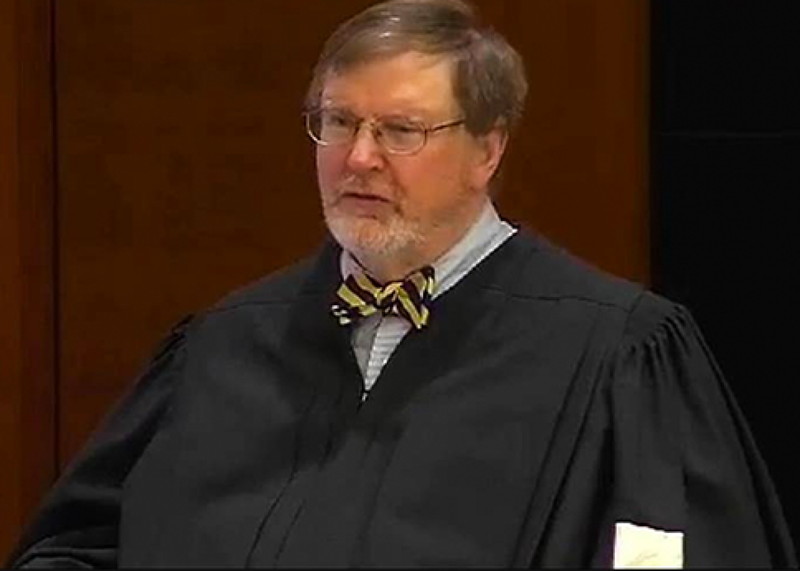 On Friday night, U.S. District Judge James Robart blocked the entirety of Donald Trump’s de facto Muslim ban from taking effect. His extraordinary ruling, which applies nationwide, froze all relevant provisions of the executive order, finding a substantial likelihood that the plaintiff will ultimately prevail in challenging the legality of the ban. That plaintiff was Washington state, which obtained standing to sue by demonstrating that the order would harm the state’s interests and residents. Just two weeks into Trump’s presidency, a progressive state has already succeeded in thwarting—at least temporarily—a huge part of his cruelest agenda. Why did Robart rule so broadly? In his time on the bench, Robart has demonstrated a deep commitment to facts—the real ones, not the alternative ones—and the impact of the law on actual lives. A George W. Bush appointee, his jurisprudence shows no obvious partisanship, and his evenhanded courtroom demeanor suggests a commitment to fairness and impartiality. Before Friday, Robart was best known for overseeing a consent decree between the Justice Department and Seattle. This process reached a stalemate in 2016, when the Seattle police union rejected a proposed contract on the grounds that it didn’t reward officers with enough benefits in exchange for complying with the Constitution. Robart put negotiations back on track by sternly censuring the police union. Robart issued no such dramatic proclamations at Friday’s hearing. His questioning was calm but vigorous and persistent. He asked Washington State Solicitor General Noah Purcell how the executive order could discriminate against Muslims when, on its face, it makes no mention of a particular religion. But he also asked Justice Department attorney Michelle Bennett how the order was rationally related to its stated goals. How many citizens of the seven Muslim-majority countries targeted by the ban, he asked Bennett, had been arrested on domestic terrorism charges since 9/11? She said she didn’t know—but he did. The answer, he said, was zero. When Robart issued his ruling, he took care to reiterate his commitment to both judicial restraint and independence. “Fundamental to the work of this court is a vigilant recognition that it is but one of three equal branches of our federal government,” he wrote. [T]he court is mindful of the considerable impact its order may have on the parties before it, the executive branch of our government, and the country’s citizens and residents. The court concludes that the circumstances brought before it today are such that it must intervene to fulfill its constitutional role in our tripart government. Robart’s order did not elaborate extensively on the ban’s constitutional infirmities. But in ruling for Washington—and in blocking the entirety of the ban—he appeared to agree with the state’s claim that Trump’s executive order cannot be carried out in a constitutional manner. That’s critically important. Most other judges to consider the ban so far have found that it violates the due-process rights of immigrants already in the United States and those who were on their way into the country when the order was signed. Robart went far beyond that rather narrow question of law, finding that the entire order is likely unconstitutional, presumably because it is irrational and motivated by unlawful anti-Muslim animus. That decision marks a huge step forward in the ongoing litigation over the executive order. Robart recognized that it is not just the ban’s immediate application to immigrants in transit that violates the Constitution; it is the ban as a whole. Even if the administration were to somehow execute the ban in a way that respects its targets’ due-process rights, it would still run afoul of basic equal protection and First Amendment principles. Simply put, there is no constitutional way to implement an unconstitutional order. That is the upshot of Robart’s ruling. And it is the argument that civil-liberties advocates must make as they continue to clobber the ban in court.